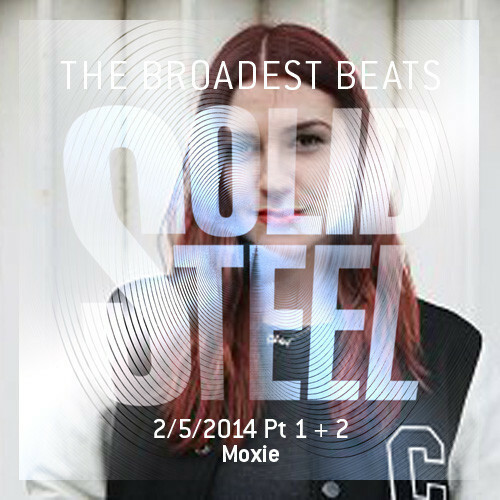 “Solid Steel (2nd May) It’s a pleasure to welcome Moxie to Solid Steel who has her own show on the excellent NTS and also had a stint on Radio 1 in the ‘In New DJ’s We Trust’ slot. Her expansive knowledge and wide taste in music is reflected in her weekly shows. This mix takes us through a superb selection kicking off with a classic disco edit, Motor City Drum Ensemble, Actress, PhOtOmachine and the great Mos Def ‘Umi says’ edit on Falty DL’s Blueberry Records. Then it’s Drexciya from ’95, Seven Davis Jr, Martyn, Akkord, HNNY and ending on another disco classic, this time Triniadad’s Stephen Encinas from 1979.